My wife (wise soul that she is) pointed out that whether or not I put a battery in my razor is not the point – if it simplifies my life by making shaving easier and more pleasurable, then why not do it? Simplifying your life, she said, doesn’t necessarily mean contracting your life, or reducing the world around you. On the contrary, she said – simplifying your life can lead to a most wonderful expansion of your world, and your experiences. You can give away all your possessions and still be bound up in complications. When I thought about what she said, I made an analogy to cooking – you reduce a sauce down until it explodes with a myriad of tastes and flavours. You’ve simplified, but you’ve expanded. I regard simplicity as keeping only what matters. My wife Jennifer regards it as taking nothing for granted. What in fact I was actually doing was telling the world what sort of person I was. If I posted on a political matter, and I expressed outrage, then I was announcing that I was a concerned liberal. Or if I posted on a rock concert I’d attended the previous night, I was telling everyone I was “cool,” and not the age I’m purported to be. I was in two minds to delete my Facebook – I’m just not interested anymore in someone telling me what they had for lunch, or seeing a photo of their new pot plant. In the end though I’ve kept it for work reasons. But I’ve noticed that since returning, I have a very real disinclination to be distracted by trivia. I’ve come to see that simplicity is about shedding burdens, whatever they might be, so you can leap mountains. Your remark about simplicity reminds me of the way a wise Sister explained our vow of poverty-its not about getting rid of your possessions and living with nothing;its about changing your attitude towards your possessions, so that they never become the most important thing in your life, or have the power to change you if one day you happen to lose everything. Sister Simon, I read your remark this morning and have been thinking about it all day. How true, yet how difficult. I have read every comment you have made to Bill and find you to be very insightful and wise. 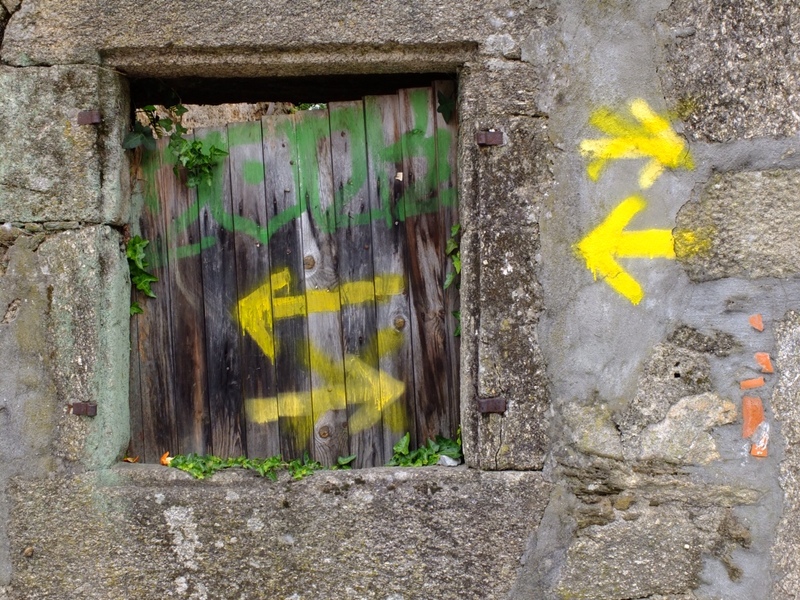 I wishto invite you to follow me as I continue the Camino, because I, like Bill, welcome your comments. I am steve2013dotnet.wordpress.com. My dad was a Methodist preacher and I grew up with basically nothing but happy and fulfilled. Can only endorse what you say about Sister Clare. She IS wise and insightful, and I now value her as a friend. Steve, I’d be happy to follow you, but being somewhat techno-illiterate,I need to ask how that’s done. Do I put your user name in a search bar at wordpress? I apologise to Bill for interrupting the flow-this post has brought some very interesting replies! No need to apologise Sister! It’s great! That’s what this blog is for – the free flowing exchange of ideas and thoughts! So true,i too need to ‘de-clutter’ my life and my mind,hopefully my Camino in Sept will help me. My parents and I left my native country for freedom and for a better future. We left everything behind except for our integrity, professionalism, and believes. That is my inheritance. We lost everything. But just like Job, we got everything back and we are free. Freedom means everything, freedom to choose what ever you want or your heart desires. You make the choice. I brought my parents back to the island in year 2000 and witnessed how people live “without”.